Our 8th season of Storm Watch Supper begins November 4th. Join us for dinner Sunday – Thursday for a 3 course Pre Fixe Menu. Storm Watch Suppers are popular, reservations are encouraged. 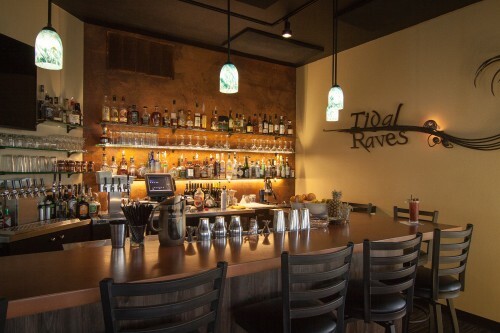 Our bar features the best cocktails and setting on the Oregon Coast. Our “spiritual leader” Jesse, has created a cocktail list with just the right mix. We’re serving the classics, house specialties and barrel-aged options. Join us for happy hour 2pm – 5pm daily! Check out our in-house wine shop, Bin 279. You’ll find hand-selected wines of great quality and good value.